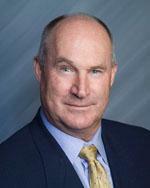 Bill Jeanney is recognized as one of the premier personal injury trial lawyers in the western United States. He was honored by his peers as the 2008 Trial Lawyer of the Year in the State of Nevada by the Nevada Justice Association, an organization of approximately 1000 trial attorneys. In 2008 he was also inducted into the American College of Trial Lawyers, an honor recognizing the highest achievement in legal advocacy. Bill was also recognized as one of the Top 25 Nevada Super Lawyers for 2008 and was named to The Best Lawyers in America for personal injury for 2008 and 2009. In addition, Bill is a member of the Million Dollar Advocates Forum and the Multi-Million Dollar Advocates Forum. For the last 25 years, Mr. Jeanney has specialized in the jury trial and settlement resolution of complex plaintiff personal injury cases. He has had an outstanding trial record in both state and federal courts in Nevada and California involving products liability, insurance bad faith, governmental negligence, medical malpractice, trucking collisions and catastrophic brain injuries. He is the most active trial lawyer in the firm, having personally tried over 75 jury trials. He has achieved a remarkable string of million dollar jury verdicts and settlements over the past 10 years. Bill is widely sought after as a lecturer in trial law and has presented lectures in the past year along for several trial lawyer organizations, including the Nevada Trial Lawyers Association, the State Bar of Nevada, the American Board of Trial Advocates, and the American Inns of Court. He has also lectures throughout the years on the subject of business torts, depositions and trial preparation. He is a past-president of the Washoe County Bar Association. Prior to his focus on personal injury trial law, Bill was a Deputy District Attorney for Humboldt County, Nevada, where he honed his trial skills by successful prosecution of numerous criminal trials in state and federal courts, including serious felony murder trials. Bill is a native Nevada resident, born in Winnemucca, Nevada. He received a Bachelor of Science Degree in 1975 from the University of Nevada-Reno and his Doctor of Jurisprudence in 1982 from the McGeorge Pacific School of Law.